An early American or English Colonial hurricane wall sconce. Very classic in polished brass. 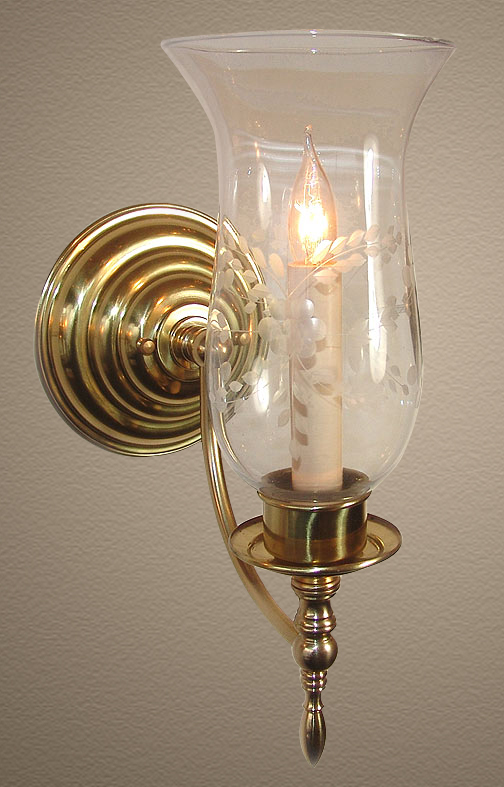 Great in pairs around a brick fireplace or for subtle hallway lighting. Multi arm also available. Clip on Fabric Shade also works well here. Width 5 In. / Projection 9 In. / Depth 13 In.